The Days of Johann, an agility dog! : 10% of our profits now go to dog rescue!!! 10% of our profits now go to dog rescue!!! Yep, we finally are able to do it! 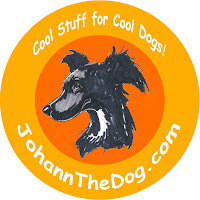 Anything that is purchased through our site - JohannTheDog.com, or whatever funds we earn through our Blog, Squidoo, or other avenues will contribute to our profits. And, now, 10% of our profits are going to dog rescue and shelters!!! Yeah!!! We are so excited to be able to do this. We have a list of folks from rescues and shelters that have requested assistance throughout the past months. We'll be working on that list first, since they came first. We'll keep you posted on how it's going.